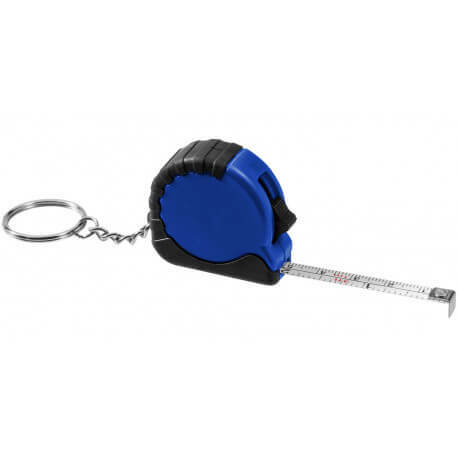 Habana 1 metre measuring tape with keychain. 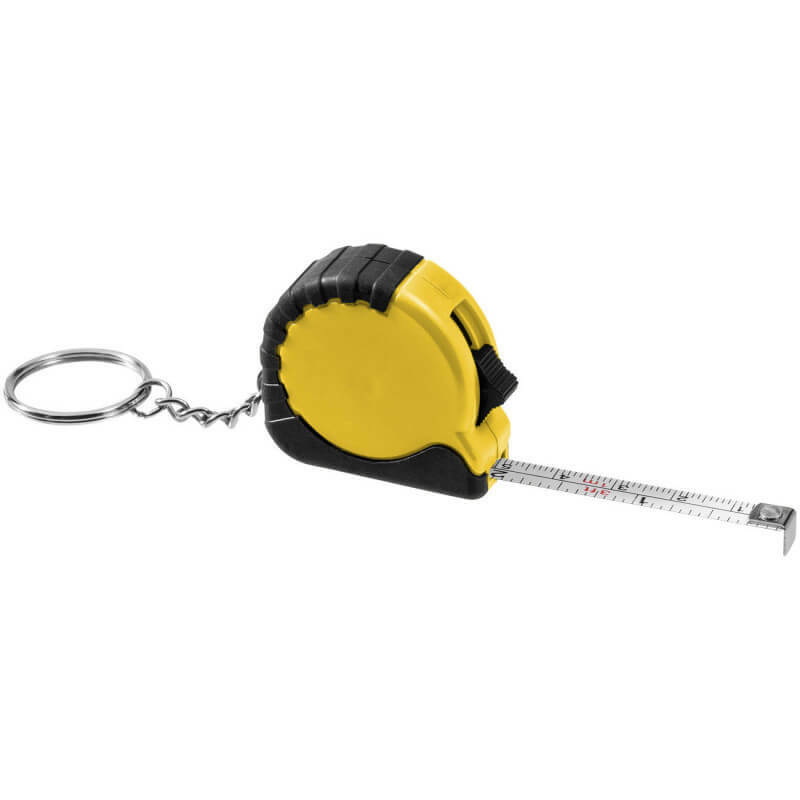 1 meter retractable, locking tape measure showing centimeters and inches. Slide-locking button locks tape in place. Rubber grip. Metal split-ring key chain. ABS plastic.